Why is the rise of 5G causing such a sensation in the global ICT industry? While the switch from 3G to 4G was mostly a matter of increased speed, the rise of 5G will unlock the potential of a flood of new technologies. To give a better idea of the impact of 5G, in November Huawei Wireless X Labs released a white paper on the Top Ten 5G Use Cases. The paper showed that 5G will be the foundation on which a range of groundbreaking technologies will be built, from cloud VR/AR to connected cars to smart manufacturing to connected drones, personal AI assistant, and Smart Cities, and more. As we approach 2020, the growth of 5G-based enhanced mobile broadband networking (eMBB) and IoT applications will skyrocket, including VR/AR apps, industrial Internet, driverless technology, and the Internet of Vehicles. This is why organizations - and consumers - are so excited to see 5G coming. Why was the announcement of 5G NR specification important to the ICT industry? The recent announcement of the 5G NR specification caused a great sensation in the ICT industry for a simple reason: having an official standard for 5G is a leap forward in allowing the widespread commercial deployment of 5G technologies since it enables vendors to use these specifications to build 5G equipment. The notice was well-timed given the challenge telecom operators have been recently facing to increase their revenue and the pressure they are under to progress on their digital O&M transformation. The arrival of 5G will enable them to formulate a comprehensive new strategy to drive progress based on the revolutionary potential of the network. After the release of these standards, Huawei made ICT history by unveiling a full range of end-to-end (E2E) 3GPP-compliant 5G product solutions. This release covered the core network, the bearer network, base station, and terminals. Huawei's 5G product solutions are entirely based on 3GPP standards, with full range, full scenario, and all-cloud being the defining characteristics. The featured products are also the only available options within the industry to provide 5G E2E capabilities. Huawei also released a range of 5G terminals at MWC 2018. Huawei's 5G customer premise equipment (CPE) is developed based on the 3GPP standards and chipset architecture. This means the arrival of 5G-compliant user devices is just around the corner. Because of our belief in the power of 5G, in 2018 Huawei will invest USD800 million in R&D in the field, and launch a full range of commercial 5G equipment, including wireless access networks, bearer networks, core networks, and devices. Additionally, Huawei will drive the large-scale commercial deployment of NB-IoT networks around the world, and increase the number of NB-IoT connections to over 100 million. What challenges do you think lie ahead before 5G become widely available, and what new challenges will 5G create for telco operators? The 5G era is fast approaching, but we still have work to do. For operators, further preparation is necessary to build up network spectrum, transport, sites and business case, etc. Yet we believe our efforts over the past years have put us in a good position today, and Huawei is ready with an end-to-end portfolio of product solutions and end-to-end layout in cross-industry. Though is still some work to be done, we are in a good position to support our telecom customers as we work together to launch 5G networks. 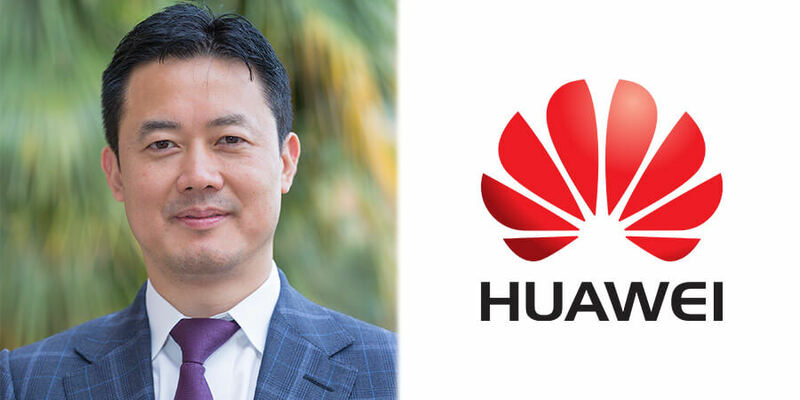 Huawei strives to be a strategic partner of digital transformation for carriers, and enable carrier success through innovative products, solutions and professional services that addresses business needs and creates new revenue streams. Of course the 5G era will bring new challenges too: in particular, the fact that services will no longer only be B2C; there will be many new services and vertical industries, which will bring new challenges to telecom vendors unused to operating in these areas. Here Huawei has an advantage thanks to our broad portfolio of capabilities - we are a leader not only in the telecom equipment and service business, but also in consumer business, enterprise business, and cloud business. We have deep expertise of both B2B and B2C businesses and look forward to helping operators navigate the new challenges of the next step in digital transformation. What impact will 5G have on the Middle East? 2018 will be the year of 5G. Middle East operators and government agencies are working to support spectrum neutrality, use test-driven development to construct Mobile Broadband networks, and rollout 5G as fast as possible. 5G technology is necessary for Middle East to progress in its digital transformation. Already the development of 4.5G is making an impact in key regional initiatives: 4.5G Narrow Band-M2M is enabling the development of smart cities. The technology can provide smart intelligence within the city to optimize the daily use of energy (for example through remote control of public transport systems), guarantee better public safety (through video surveillance in streets) or leverage an efficient smart metering system. At Huawei, we firmly believe that 5G has the potential to transform the landscape of the region, drive forward digitalization, increase revenue for telecom operators, enhance capabilities for organizations, and improve the lives of the population. Fifth-generation networks are necessary to support the development of smart and safe cities, enhance business operations across vertical sectors, and help governments achieve the targets outlined in their national vision and agendas.